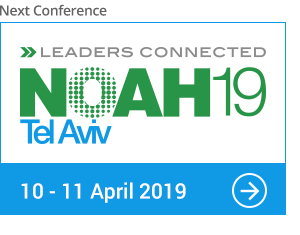 NOAH Berlin on 13-14 June 2019 at The Station is the premier conference for leaders in the European digital ecosystem – connecting 5,000+ senior executives, leading experts and world-class investors. For an overview of the general ticket prices please visit our event info or continue directly to the event registration. Do you have any travel and hotel recommendations? Where can I find the program and speaker list? The latest programs will be online in the event section on our webpage about 8 weeks before the event. Meanwhile, we will publish and update our confirmed speakers and session highlights shortly. Previous programs as well as all other related resources can be found here. Where can I register for the NOAH Industry Directories / Books? Once you purchased your ticket, please don’t forget to join one of our comprehensive books for Startups, Service Provider and Investors and introduce your company to a highly relevant and engaged audience. How can I get in touch with other attendees? Our NOAH Connect app brings networking to the palm of your hand like never before. Once you are registered for a conference, make sure to download the latest version to ensure, that your time at the conference is most productive – achieve your business objectives by segmenting attendees based on several key criteria (industry, geography, job function etc). NOAH Connect goes live 2-3 weeks prior to each conference. In case you still have no NOAH Connect profile, please sign up here. Want to meet relevant angels and VCs looking for early-stage opportunities? Apply for our NOAH Startup Stage 2019. Our NOAH Connect app brings networking to the palm of your hand like never before. Achieve your business objectives and make sure your time at the conference is most productive.